Young Audiences Charter School (YACS), the only arts-integrated charter school in Jefferson Parish, invites prospective students, along with their families, to attend an Open House for Grades Kindergarten-9th on Saturday, April 6 from 12pm-2pm at the Kate Middleton Campus, located at 1407 Virgil St., in Gretna, LA. There will be crawfish boiled by the NOLA Crawfish King, and a table art activities for kids. 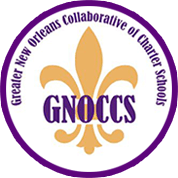 As a Type 1 Charter authorized by the Jefferson Parish Public School System, Young Audiences Charter School is currently open to any Jefferson Parish student entering Kindergarten through 9th grade. YACS is expanding to High School in 2019 to eventually become a full PK-12 school, adding a grade each year. YACS will be building a new state-of-the-art facility, which will house middle and high school students, and be conveniently located behind the current school at 1000 Burmaster St. in Gretna. The school will be situated on 11+ acres with 177,000 square feet of space, including a theater and performance spaces, music studio, state of the art classrooms, green spaces and sports facilities, and art studio spaces. At Young Audiences Charter School at Kate Middleton, the arts-integration curriculum reflects recent research from the arts education field that provides significant evidence of the value of the arts in the learning process. 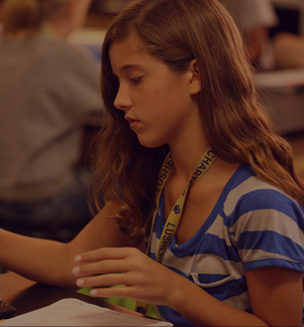 Arts Integration combines the arts with the learning of core academic subjects. It supports educational achievement and improved student behavior by giving children both a “springboard” and a “safety net” for learning. The arts allow students to be more engaged in education-focusing on each child’s abilities and interests to provide support in academic achievement. The arts also provide increased opportunities for parental involvement in school, a key component to education. Any student who enrolls in Young Audiences Charter School for Kindergarten is eligible to attend the YACS Summer Camp for free. Please call the school for details. Young Audiences Charter School also invites prospective students and families to schedule a tour of the school if they cannot attend the Open House. Parents are encouraged to visit the school’s website www.yacharterschool.org, call (504) 304-6332 or e-mail info@yacharterschool.org for enrollment information. Opened in 2013, Young Audiences Charter School at Kate Middleton is an open enrollment, arts-integrated charter school in Jefferson Parish for grades K-8, and expanding to high school in 2019. Enrollment is open to any Jefferson Parish student. Recent research shows that students at schools with an arts-integrated curriculum scored higher on standardized tests and academic measures than those at other types of schools, including academic magnet schools. (PAIR, 2013) Additionally, students involved in the arts have better attendance, fewer behavior referrals, increased class participation, and are more likely to report a love of learning.